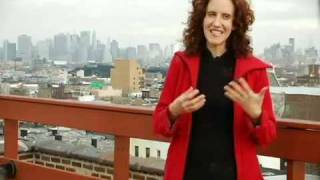 To ask Gayle Forman questions, please sign up. If you were in Mia's situation in If I Stay, would you stay? What kind of relationship do you have with your characters? 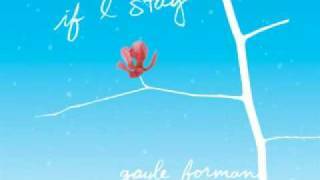 Gayle Forman I know this is clichéd but they become like real people to me. I know them very well, even the minor characters. When I'm drafting a book, I think…moreI know this is clichéd but they become like real people to me. I know them very well, even the minor characters. When I'm drafting a book, I think about them constantly. I like to think I'm in charge of them but really, they're in charge of me. When I wrote If I Stay, I had no intention of writing a sequel. Sherry Planning to read them again for the third or fourth time. Love! I TOLD you good things were coming to the JUST ONE DAY/JUST ONE YEAR FB page. And I did not tell a lie. 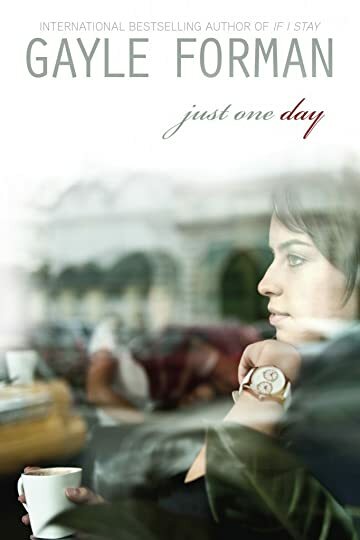 As of now, you can read the entire first chapter of JUST ONE DAY. You will be able to keep reading more chapters, the more people who like these pages. We’ll just keep unlocking the chapters and you can keep reading. Start reading, start liking, now. The Facebook page is here. 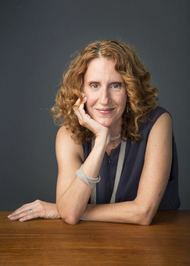 Gayle Forman voted for I'll Give You the Sun as Best Young Adult Fiction in the Final Round of the 2014 Goodreads Choice Awards. How often were you on set, and what are your th..."
When I wrote IIS, I played Glen Hansard and Marketa Irglova's song "Falling Slowly" almost every time before I wrote. It made me cry. I'm not sure why. It's not a sad song, so much as melancholy. I don't usually listen to music as I write but I listen to music as I think about my books. Especially when I'm running. Listen. Run. Think. Cry. Write. I must look crazy in the park. ...more "
Which Book Would You Like to Read in may?